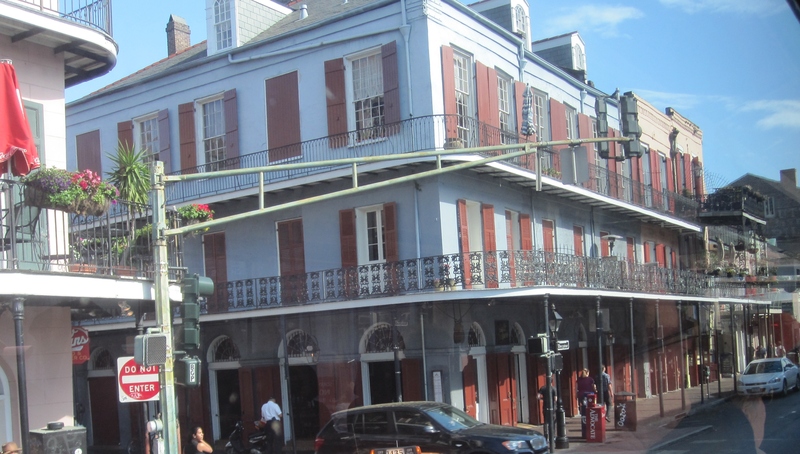 Our recent cruise took us for too brief a time to New Orleans, the Big Easy, setting of “The Streetcar Named Desire” and many other stories. Reading through quotes about New Orleans confirmed my sense that this is – or at least is regarded as – one of America’s unique cities. Tennessee Williams claimed “America has only three cities: New York, San Francisco, and New Orleans. Everywhere else is Cleveland.” We were there for a short time but it was clear that we weren’t in Cleveland. I saw Disney World’s Port Orleans resort years ago. Now that I have seen the buildings which inspired the theme I can affirm that they got it right. I’m chagrined to say that the original (New Orleans) made me think “Oh, it’s just like the replica (Disney)” but such is the power of theme parks for those who haven’t been around that much. Our overview tour of the city showed us all the images for which the city is known: the French Market, shotgun houses, the above ground tombs of the cemeteries, Jackson Square, the French Quarter, Preservation Hall, the Garden district, and the trolleys. 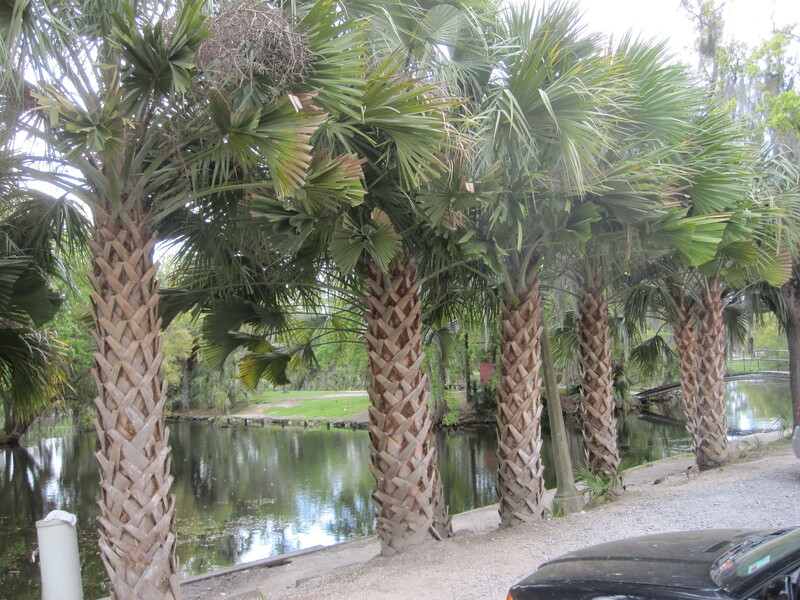 I had never heard of New Orleans City Park but was delighted to see it. Here we found botanical gardens, carousel gardens, and Storyland. There is a charming museum of art – held back from full glory by the hurricane season. The cost of insuring special exhibits during months likely to have storms is prohibitive. 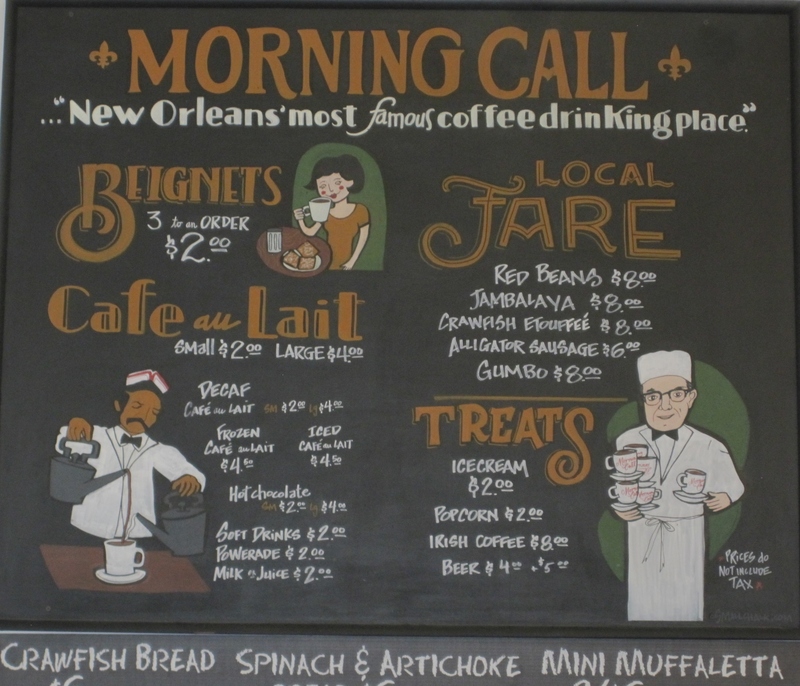 We stopped for the New Orleans staples, café au lait and beignets, at the park’s coffee shop Morning Call. Their sign proclaims them to be the best known coffee shop in the city. 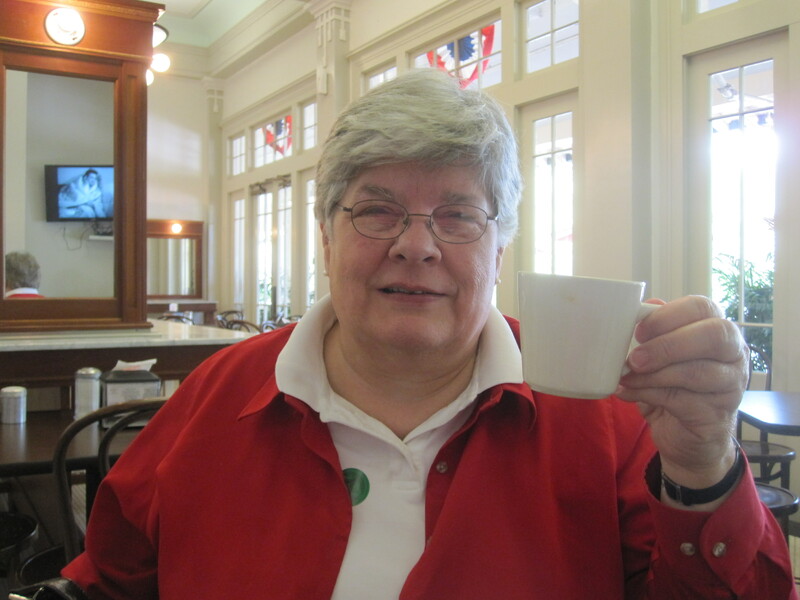 I had heard of the Café Du Monde well before this, but the refreshments here certainly were worth a return visit. Those of you who know the city better than I surely will know of things I should have seen and done. Please enlighten me! I certainly feel that a return visit is in order. Next time I will plan ahead with dinner reservations (as some on the ship had done) and lots of time to just poke about in one of America’s unique cities. I would be happy to set up such a trip for your enjoyment too. Just let me know when you want to “let the good times roll”! This entry was posted in Travel, Uncategorized and tagged beignet, Big Easy, cafe au lait, City Park, French quarter, Morning Call, New Orleans, shotgun house, Streetcar Named Desire, travel. Bookmark the permalink.